One of only a few red doubles. 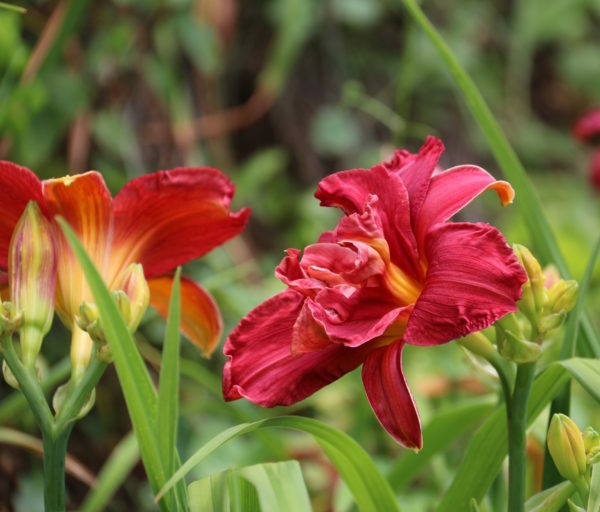 An early bloomer, it’s first blooms are often larger than the listed 5″. 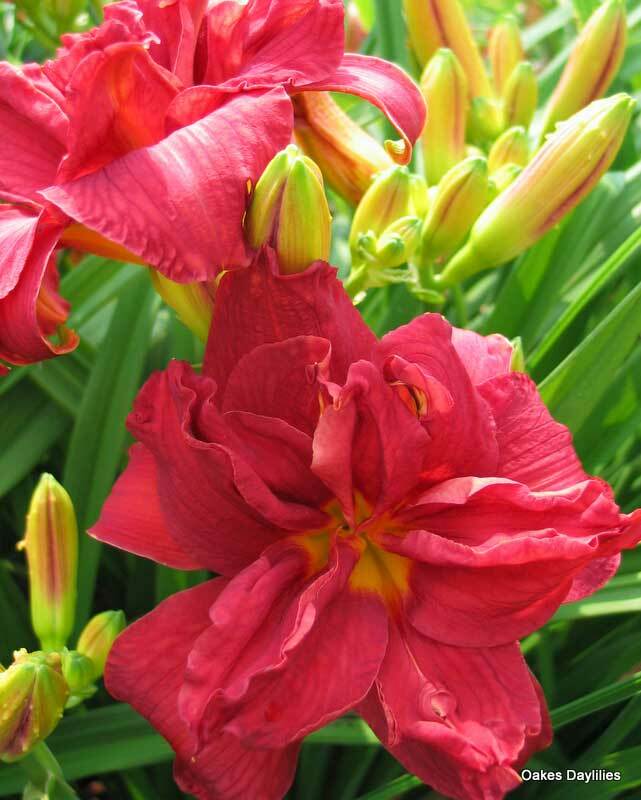 Vibrant red, these eye-catching blooms are full and fabulous! 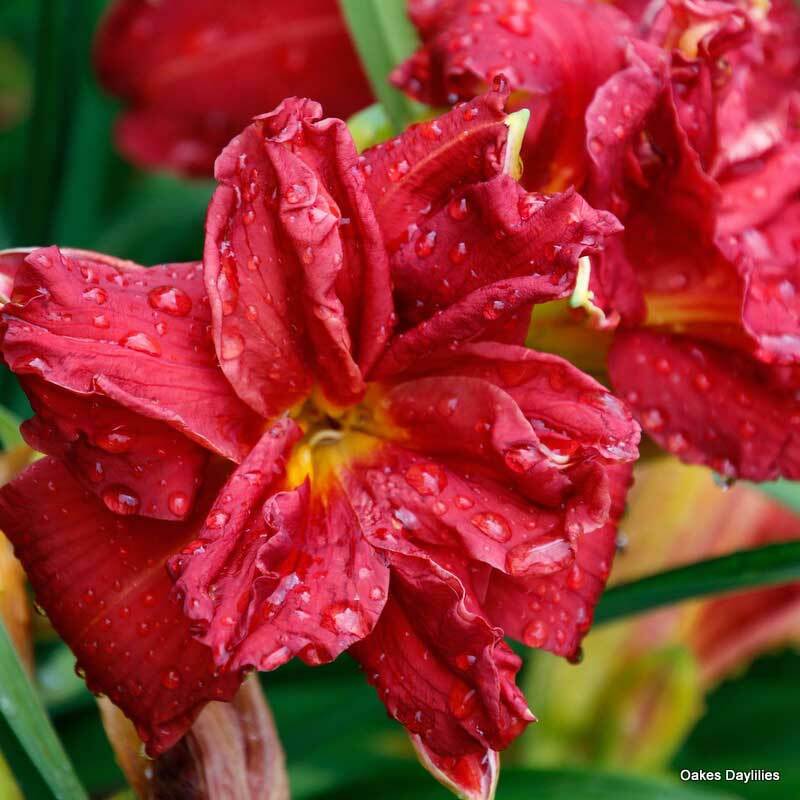 While the Double Firecracker is not a tall Daylily, and it is not inexpensive, it is well worth the investment. First of all, it is hardy, so it has little problem in dry or heat. It blooms right about the 4th and always has lots of blooms. But the most amazing thing to me is that it reproduces like crazy. I have separated my double Firecrackers at least 3 times (from the mother) and have big clumps all around. I had no idea that I was getting about 25 for the price of one clump and within just a few years. 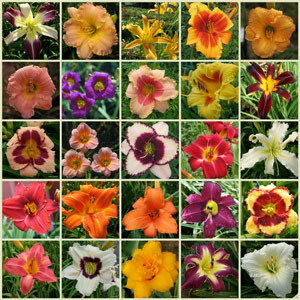 Super Daylily. We are very impressed with the health, growth and development of these plants. 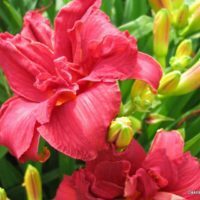 They are a wonderful addition to our garden, bringing us much joy and numerous positive comments by visitors about their color, bloom, and general structure. 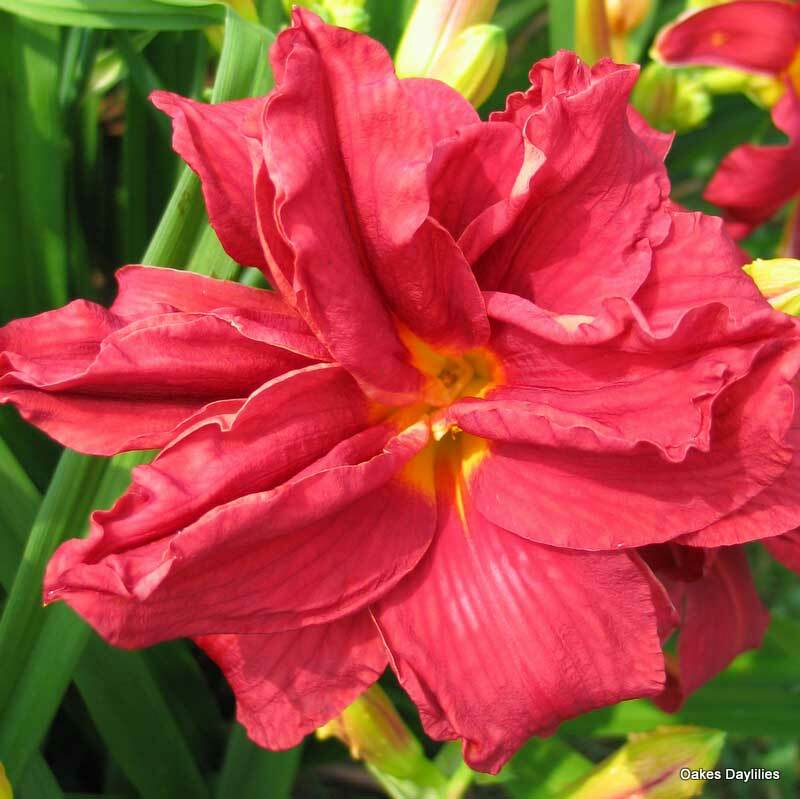 Their color is a striking red, vibrant and not adversely affected by sun. 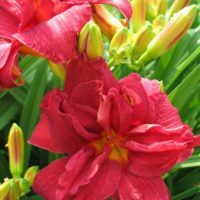 Oakes’ plants (from our experience) are very healthy, packaged/shipped well, and well worth the money. The Double Firecracker is just beautiful! I can’t add anything more that the previous reviewers, but to say the beauty does very well in our zone 6.5 garden. 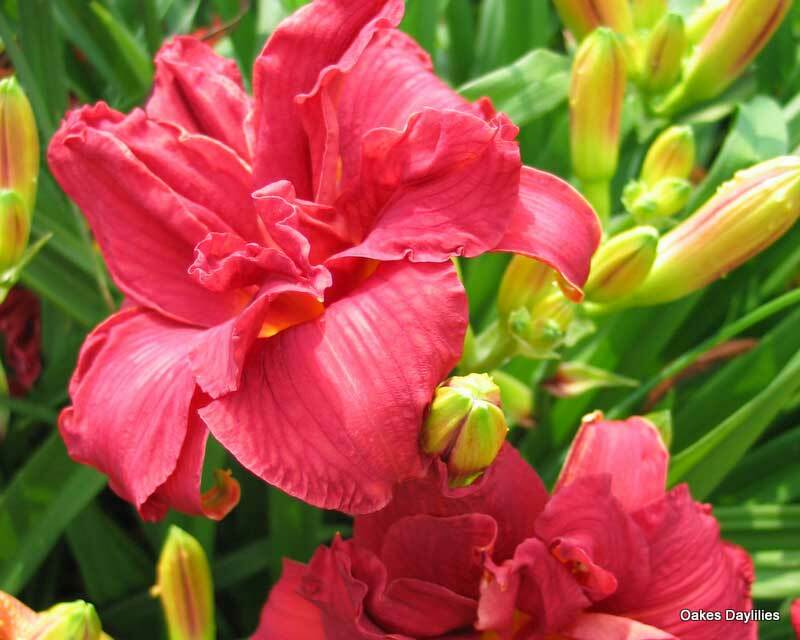 We love true reds, and the double bloom reminds us of a beautiful carnation. This one is another Beauty! Hot summer days do not fade the flowers one bit…they are a dark, rich red, just like the photo. Wow if you like red this one is for you.Strong color with sterdy up right stems.Long lasting good multiplyer very easy to grow.I live on a golf corse and I can’t tell you how many people stop and ask about this one. A real 10! 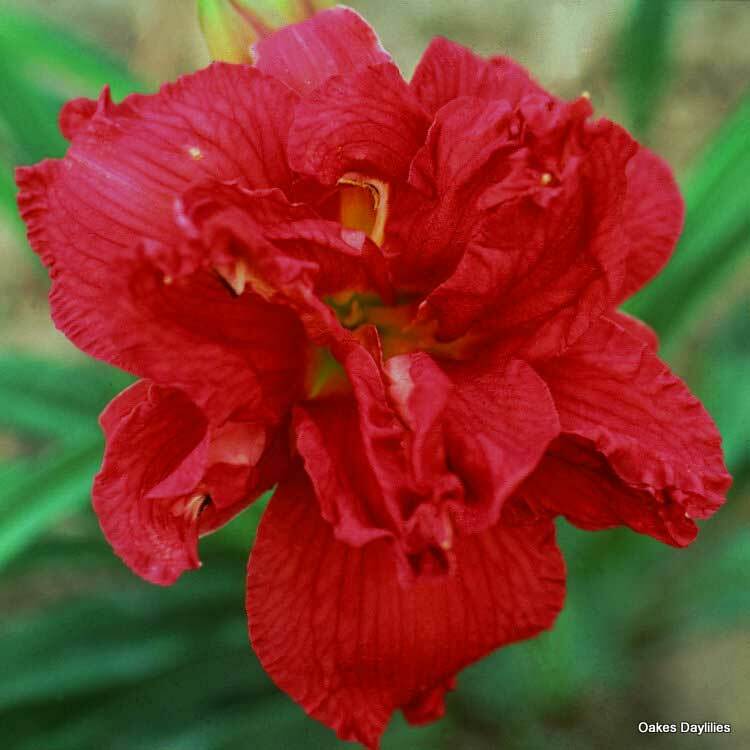 Wow, this variety has great fire engine red color. It appears to be 100% double with very fluffy blooms. It holds up well in heat and rain when others fade away. It is a fantastic flower! 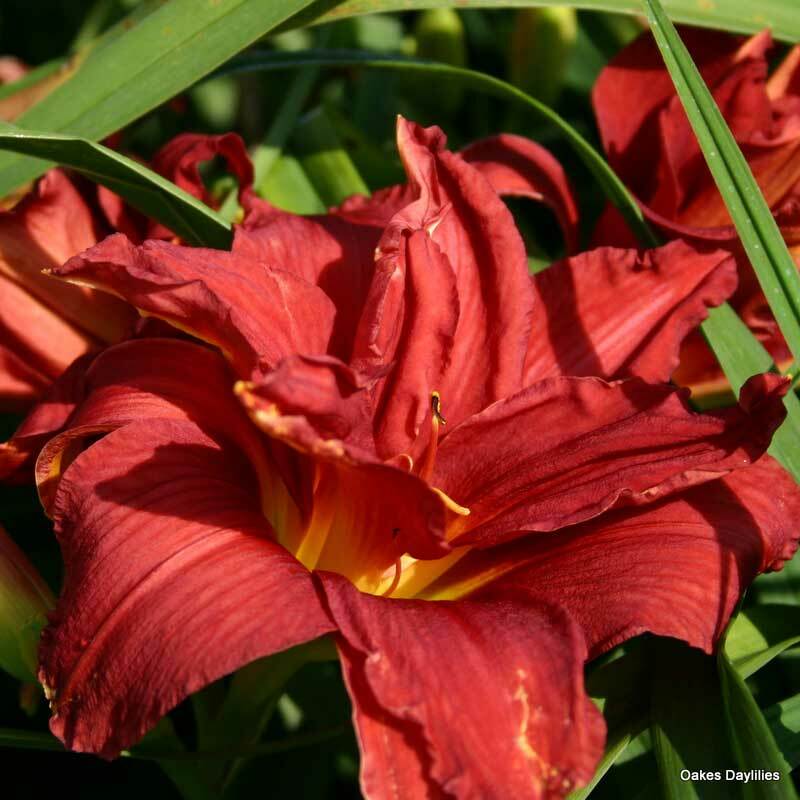 Excellent rebloom, fully double and holds color well even in full sun. 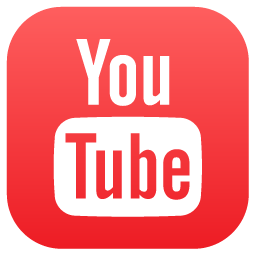 Rapid increaser too!